To crunch into these Crisps was a little surprising. To look at them you may have been fooled into thinking there were a little on the delicate side. They were however fairly firm, robust and crunchy. The crunch sustained throughout the chomping process. If you were to design an ideal Crisp they would look something like these. There were random shapes, with most medium and mouth sized. There was some visible skin on the edges. There were oil bubbles, but not entirely covering the surface of the Crisps. They looked plain and rather uninspiring, but a genuine example of a solid performer. A Nose Plunge Test revealed an oily potato aroma. This was surprising. We were not expecting anything. There was another surprise. The only taste they seemed to have was of greasy potato. 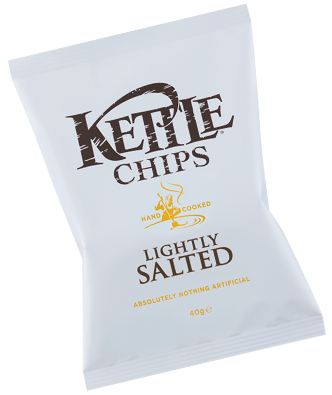 Okay, there are people that doctors advise not to eat salt, but if you want a snack that tastes of just potato, why not have a potato?